Growling, the scarab approached the main entrance of the nuclear power plant. Guards with holstered laser pistols stood at either side of the entrance. They gulped as the huge shadow fell over them, hands reflexively going for their sidearms. They hesitated in drawing their weapons, however. The same duo, one skinny, the other burlier, had twice been confronted in this manner by those who sought to break into the power plant. The first time, it'd been Dark Kat. They'd never even gotten the chance to fire their guns before his ship's heat ray melted the guard hut that stood to the left of the entrance coming in. The second time, it'd been none other than the Ci-Kat-A queen herself, and although they'd managed to fire that time, their lasers, they remembered had had no effect against her, and her piercing shriek had nearly deafened them. The burly guard, who'd stood closer to her, still complained of a pain in his left ear from time to time. And now, confronted with a beastly alien insect-kat twice as big as her, and one they'd just witnessed trash Enforcer tanks like tinker toys, the two guards looked at one another, left their pistols in their holsters, then turned and ran in opposite directions, abandoning their post. Street ignored them, battering down the front door. It fell inward with a bang and Street shouldered his way in, destroying the doorframe because he was too big to fit through otherwise. The lobby was deserted, all non-essential personnel having been evacuated by order of the Enforcers. Not only did he remember his way to where the reactor was from the last time he'd been here with the queen, Street, his antennae twitching, found he could actually sense where the strongest concentration of radioactive materials was located. "Yes," he growled, "the power... the foooooddd... it is near... I can sense it...!" He stomped down the hall, making the entire building shake as he made his way past abandoned security posts, following arrows pointing towards Sector 6, where the power plant's primary reactor was located. In the Sector 6 control room, atomic engineer Homer Peterson had just finished getting into his lead-lined radiation suit. He walked over to the control panels for the main reactor, which was visibly glowing in the room beyond a big window. He'd just received word that the Enforcer blockade had failed to keep the Ci-Kat-A from reaching the building. It was up to him now. Like the guards out front, Peterson had twice encountered and failed to prevent intruders who'd sought access to the reactor. It was his intention to succeed this time by powering the reactor down. It was a contingency plan he'd gone over with Commander Feral and the plant manager. Now, unable to raise the guards at the entrance on his radio, Peterson prepared to shut the reactor down. It'd black out half the city, all of it, perhaps, if the substations couldn't take it, but Peterson didn't care. If it would make the reactor less tantalizing to the Ci-Kat-A or at least prevent a larger nuclear disaster from happening if the core was breached, then it was worth it for a few citizens of Megakat City to go without power for a little while. Peterson's thickly-gloved hands were just beginning to turn the knobs and dials to begin the shutdown procedure, however, when the reinforced door leading into the control room flew inwards off of its hinges, whizzing past Peterson. It hit the window looking in on the reactor room, cracking it, but didn't break it. Peterson, working with his back to the door, whirled and held up a hand with all the courage he could muster. "Stop!" he cried, as he had twice before. He didn't get the rest of his familiar spiel out, not that he figured the intruder would listen any more than the previous ones had. He stopped short, gasping at the sight of the huge black scarab towering above him. The Ci-Kat-A queen had been big, and he'd been expecting something along those lines, but this... this was beyond horror. A black demon from the depths of some bad dream. All the courage drained from him, and he turned and ran from the room through an emergency side exit, moving as fast as his cumbersome radiation suit would allow him. Again, Street ignored the pitiful kat who fled before him. He only had eyes for the nuclear reactor. He visibly salivated, slimy saliva dribbling off of his mandibles as he approached the control panel. What remained of his scientific mind recognized what the engineer had been preparing to do, seeing which switches had been flipped, which knobs turned, and he was bound and determined to prevent anyone from completing what Peterson had started. There would be no shutdown of the reactor. He grabbed the control panel, tearing it loose from the wall, causing alarms to begin blaring, and hurled it at the already cracked window looking into the reactor. It hit and smashed through the thick, reinforced glass. Battering through the wall, Street entered the main reactor room. His final goal. "Yes... yes... I can taste it..."
His long arms stretched out, reaching towards the nuclear fuel rods glowing in their bubbling cylinder of water in the center of the room. Behind him, the SWAT Kats ran into the control room and skidded to a halt. They'd entered the building and it hadn't taken very long to track Street down. Razor figured he'd go straight for the reactor - which he remembered was in Sector 6 - and he'd been right. Unfortunately. He swallowed, and he and T-Bone watched helplessly as the monster scarab approached the reactor. "We gotta stop 'im!" cried T-Bone, raising his Glovatrix. "No!" yelled Razor, grabbing his friend's wrist. "That doesn't do any good!" "We gotta try somethin'!" T-Bone insisted. The bigger SWAT Kat was right about that, Razor thought. He pushed T-Bone's Glovatrix arm down. "First thing's first, we gotta protect ourselves from the radiation that's gonna be pouring outta that reactor." He pointed to some lead-lined radiation suits hanging up on the far wall. He and T-Bone ran over and hurriedly began putting them on. They weren't stopping Street from breaching the reactor. He knew that much. All attempts to prevent that had failed and would fail. What they could do, though, was find a means of turning the reactor off. He looked around the room. He knew little about nuclear power, but he knew enough to realize there must be an emergency shutdown procedure of some sort. Unfortunately, he didn't see anything that looked like an off switch, and there was no one in sight to ask for help. Besides, he thought, eyeing the battered console laying amidst all the broken armored glass in the next room, he had a feeling he knew that the controls he sought had already been destroyed. Street made sure nobody could prevent a meltdown. At least not the conventional way by shutting the reactor off. The SWAT Kat way was another matter. Already a plan was forming in the thin SWAT Kat's brain. "I feel like an astronaut in this stupid thing," T-Bone grumbled, using a built-in speaker provided by the radiation suit. "And it weighs a ton." "It's lead-lined," Razor explained, utilizing his suit's speaker as well. "Come on." They heard a smashing sound. Turning, the two vigilantes went to the hole in the wall where the viewing window used to be, and realized they'd struggled into the radiation suits just in time, their Glovatrixes worn on the outside so they could still use them. Street had broken the thick glass of the cylinder full of water surrounding the nuclear fuel rods. More alarms began blaring, a cacophony of distress for an audience of three, one of whom, Street, was paying them no attention whatsoever. Red lights flashed. The monstrous black beetle was bathed in a mixture of crimson light and the yellow glow from the fuel rods, making him look like something from the depths of the underworld. The bubbling liquid from the cylinder splashed everywhere, filling the room as the glistening scarab wrenched a fuel rod free and began to eat it. Almost immediately, he began double in size, increasing from seven to fourteen feet as he greedily munched down the radioactive metal. In the control room adjacent, gauges and monitors that measured the radiation levels started registering increasingly high levels of radioactivity. Computer screens flashed warning messages. A surprisingly calm computerized female voice announced over the PA: "Warning! Warning! Main reactor breach! Radiation leakage at dangerously high level!" T-Bone shifted uncomfortably. "Well, smart guy, he's breached the reactor and he's havin' his snack..." T-Bone said. He paused, glancing at the gauges. "...and I'm guessin' those measurements ain't good. So what's your plan?" "We were never gonna stop him from breaching the reactor," Razor said. "He's just too thickly-armored for anything we've got on us. But what we can do is prevent this place from totally melting down and destroying Megakat City, and maybe take care of Dr. Bug-Eyes once and for all at the same time." "And how can we do that?" T-Bone asked doubtfully. "I'm no nuclear physicist, but without the water keeping those fuel rods cooled off, they'll just overheat and blow up, right?" "Not exactly, but--" Razor started. "So we gotta get 'em cooled down, right?" T-Bone pressed. Razor grinned behind his suit's faceplate and held up a finger. "Now you're with me! Come on!" he said, turning and hurrying from the room as fast as his heavy suit would allow. T-Bone lingered, looking back and forth between Razor disappearing around the corner and Street munching away in the next room. "Razor, where are you going? The monster's in here!" "Come on!" said Razor's voice through the suit-to-suit speakers. "We're gonna bring the water to the reactor!" "We're gonna what?!" cried T-Bone, ambling after his partner. Last edited by Kooshmeister on Tue Nov 13, 2018 1:16 pm, edited 1 time in total. gauges and monitors that measured the radiation levels started registering increasingly high levels of radioactively. The SWAT Kat way is unconventional and often pretty messy... but it gets results! Peterson, the atomic engineer, came hurrying out of the building through a side entrance used by plant personnel in case of emergency. Feral glowered. It was obvious that the plan to shut down the reactor had failed. Peterson confirming it when he came slowly jogging up in his full lead-lined suit seemed unnecessary given the alarms and announcements. He pulled off the suit's hood, panting and sweating. "Commander," he said, "I wasn't able to finish the shutdown procedure. I'm sorry, I didn't expect--"
"Neither did I," Feral admitted, cutting him off, not wanting to hear Peterson's excuses, figuring the engineer had fled upon seeing Street's new look. He was angry, but the time for blame could be assigned later, if later ever came. "Radiation leakage at dangerous high level! Meltdown imminent!" the voice on the PA repeated. "Evacuate the area, men!" Feral yelled. The Enforcers and power plant personnel began to flee, some in vehicles, some on foot. Time to issue a citywide evacuation order, Feral realized, reaching inside his greatcoat and taking out an Enforcer-issue communicator. It linked him directly to Headquarters' main control room. "This is Feral!" he bellowed. "Initiate Evacuation Code N-9305! I want all civilians and Enforcer personnel out of the city immediately to the minimum safe distance! Just in case!" Without giving the technician who'd answered his call time to reply, he lowered the communicator from his mouth. Sergeant Talon walked up. "'Just in case?' Sir, you sound somewhat confident the SWAT Kats might just pull this off..." He sounded skeptical. "I am. I have to be. Because the alternative is just giving up." 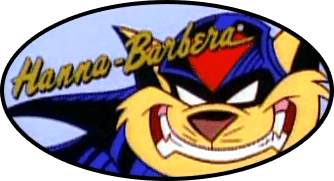 Determined to help the SWAT Kats in some way, Felina ran for an Enforcer chopper sitting on the ground which had been left untouched by Street's rampage, clambering in. Gray Taylor was at the controls. "Get this thing in the air! We have to go help the SWAT Kats!" she said, sitting in the co-pilot's seat. She smirked. "And maybe you can get a little revenge against that big bug." Reflexively rubbing where he'd been bitten before, Gray flicked some switches. The rotor blades fired up and the aircraft lifted off. At first, Feral didn't think anything of it, until the chopper flew towards the power plant and not away from it. Into his communicator, he yelled, "This is Commander Feral! Lieutenant, what are you doing?" "What else?" came his niece's voice through the receiver. "Helping the SWAT Kats avert meltdown!" "Felina!" the enraged Enforcer Commander bellowed. "Sorry, Uncle." Felina sounded grimly resolved. Feral only got angrier. "Felina, come back here!" Getting no response, he tried a different tactic. "Corporal Taylor, this is Commander Feral! I order you to fly back here at once!" Still no answer. Either they were ignoring him or they'd simply turned off the radio. "Oooh, that niece of mine is teaching that academy rookie some very bad habits." Slowly, his anger subsided and he turned to Sergeant Talon. "Let's get out of here." "But what about the Lieutenant?" Talon demanded anxiously. That worried Feral; he couldn't remember the last him his top sergeant had ever been anxious or afraid. And that made him anxious, too. And afraid. Not just for the city, but for Felina. He turned and watched his niece's chopper flying towards the power plant. "She'll succeed. She has to. Because if Lieutenant Feral and the SWAT Kats can't stop that monster bug... then no one can. Now come on, let's go!" They got into Feral's cruiser and sped off. Is that a reference to something? My guess is that it's the production number for "The Wrath of Dark Kat". Yes, which was the first time the Megakat Nuclear Plant appeared. In addition, although it isn't mentioned in the story, Murdoch's prison ID number is 9411 (the production number for The Doctors of Doom). The atomic engineer's name is also a reference. Homer Peterson. "Homer" is obvious. Homer Simpson. I chose "Peterson" both as a nod to special effects artist Pete Peterson, and because Peterson was also the name of the head atomic engineer in 1958's Fiend Without a Face. Slightly encumbered by the heavy radiation-proof suits, the SWAT Kats ran through the deserted plant, pursued relentlessly by the blaring alarms and flashing red lights. T-Bone was in the lead. Even though it was Razor's idea, he, being bigger and stronger, moved faster in the weighted lead-lined suit. But his slimmer partner was no slouch; hours of training in the salvage yard's obstacle course helped keep the deceptively skinny-looking tom toned enough that he was able to keep up with T-Bone, even if he did fall slightly behind. Every so often, panting audibly, their breath fogging the faceplates of the hoods, the two SWAT Kats would pause to look at the signs, helpfully accompanied by arrows, that the power plant staff had put up everywhere. They needed to get to one of the plant's cooling towers. It didn't take long, which was fortunate, because time was a luxury they didn't really have. Finally, they reached a security checkpoint - unmanned, of course - that read "Cooling Tower A - No Admittance." There were a set of double doors behind a glass panel opposite the guard station. "Here we go!" said Razor. He grabbed the chair behind the desk at the guard station and flung it. Crash! It shattered the glass partition, and a new jangle of alarms, which he and T-Bone ignored, joined the cacophony. "In here!" Rushing forward, Razor jiggled the pushbar and shoved. "Locked!" There was a keycard reader, but, obviously, neither he nor T-Bone had security clearance, and there was no time to hack in. He smirked a bit. He'd done this dance before. He tried to lift a leg to kick the doors open, found the suit wouldn't let him, and frowned, flinging himself shoulder-first into the doors. Pain shot through his shoulder and the doors stubbornly remained shut and locked. A hand clamped on his shoulder and he turned. "Allow me!" said T-Bone, and flung himself forward with all his might like a football player. The doors burst open on the first try, swinging inward. "Unlocked!" he said triumphantly, and gestured. "Brains before beauty, buddy! This is your plan, after all!" Ignoring the twinge of annoyance he felt at his friend showing him up, Razor went in. The cooling tower interior was vast, with slightly inclined walls sloping up towards the open top. Hearing whirring rotor blades, the SWAT Kats watched an Enforcer chopper fly overhead, before Razor's attention turned to a large outlet pipe on the far side of the room. He ran over as quickly as his radiation suit would allow. The pipe was enormous, sealed with a hinged, riveted door with a valve handle. A sign beside it informed the reader of the pipe's purpose and some small print legalese signed by plant management stipulated severe consequences for employees who opened the pipe in any event except for an emergency. Razor grinned. This was what he wanted. This was Megakat City's salvation. He hoped. He turned to T-Bone, who stood waiting with his hands on his hips in the middle of the room. "This pipe leads directly to Megakat Bay! It's where the plant gets its water from!" he said. T-Bone frowned, but quickly understood his friend's plan a little better now. He knew the plant was by the ocean. Open the pipe, flood the plant. Drown the nuclear fire before it got too hot and melted the whole place down. He gave Razor a thumbs-up. "Good thinkin'! We'll put out the reactor before it melts down and hopefully drown Dr. Bug-Eyes once and for all while we're at it!" He ran over, and, together, he and Razor began attempting to turn the massive valve. "Remember!" said Razor, grunting and sweating inside the suit. "Lefty loosey, righty tighty!" "I know, I know!" gasped T-Bone, also grunting. "We're both mechanics!" Try as they might, though, the valve stubbornly refused to budge more than a few inches. Evidently, the staff hadn't had to open it in a while. Up above, that Enforcer chopper reappeared. Inside, Felina Feral and Gray Taylor watched the two SWAT Kats wrestling with the valve. It took Felina a moment to realize what they were doing, before she too understood what their plan was and grinned. Beside her, Gray Taylor remained puzzled. "What are they doing?" he asked. "I think I know!" she reached inside her pocket, felt the gloved tips of her fingers touch the communicator T-Bone had given her back during the Katrina Moorkroft debacle, hesitating. Should she reveal her secret to the other Enforcer? She frowned. Better contact the vigilantes through normal channels. She activated the chopper's loudspeaker. "SWAT Kats!" she said into the helmet's microphone. Her voice echoed down through the cooling tower interior. The two radiation-suited vigilantes flinched as the tower's acoustics amplified her voice. She winced, but kept talking anyway. Her friends' comfort was of minor concern to her right now, with the entire city at stake. "This is Lieutenant Feral! I know what you're trying to do! Stand back! Get clear of the pipe and we'll blast it open!" Down below, the slimmer of the two figures - Razor - gave a little salute to signal that they understood, while the other - T-Bone - shook his fist up at the hovering helicopter to show his displeasure at nearly having his eardrums blown out, and then the two ran from the tower, back through the double doors they'd entered through. Once they were safely out of the way, Felina flicked a switch. A targeting scope swiveled into place and she sighted the pipe cover through it, focusing her crosshairs on the valve handle in particular. Although he still didn't seem to understand what was happening, Gray, to his credit, trusted his superior's judgment, and kept the aircraft steady, and didn't pester Felina with any questions. Whoosh! Felina fired. A missile flew down and blasted the valve handle and the cover - and much of the pipe and surrounding wall - into nonexistence, and Megakat Bay began rushing in. Beside her, Gray gave a cry of excitement and understanding as he finally got what they were doing. "That water will hopefully flood the power plant and cool down the breached reactor!" Felina explained. Gray nodded, then frowned. "But what about the SWAT Kats? We can't just leave them to drown." "And we're not gonna!" said Felina, unbuckling her seatbelt and pushing the targeting scope back into place. She moved into the rear of the chopper, slid open the side door and knelt down, preparing the rescue ladder for lowering. "Lower us down inside the cooling tower as far as you can!" Meanwhile, in the reactor room, the black, glistening, horribly beautiful thing that had once been Dr. Harley Street, the scarab, munched away happily on the fuel rods he wrenched free from the smashed open reactor, growing bigger with each bite he took, completely unaware of what was happening elsewhere in the building. Unaware, that is, until a torrent of water began gushing into the room. At first he ignored it. A burst pipe someplace. Until the unmistakable smell of the ocean made his antennae go berserk. Saltwater! The ocean! Megakat Bay! A pipe had been burst, all right, he realized... the pipe leading from one of the cooling towers to the sea! Rage filled him, a fury like nothing he'd ever experienced! Already, as the water level rose up over the base of the reactor pedestal - knee-deep for him now - the glow of the fuel rods was beginning to fade. His worst fears were confirmed when the voice announced over the P.A., "Attention! Attention! Critical radiation leakage levels lowering!" "Cuuuurse you, SWAT Kats!" Street howled in anger, and stomped from the room. He had to find the source of the water and stop it. The cooling towers! Yes! He had to get to the cooling towers and stop the flow of ocean water before it completely drowned the reactor and ruined all his plans. Failing that, his dream of an irradiated Ci-Kat-A paradise fading from his vision even faster than the rising waters of Megakat Bay filling the power plant interior, Street vowed that the two meddling vigilantes who'd killed his beloved queen, taken Ann Gora from him, and dashed his dreams, would pay for all of it with their lives. Clenching and unclenching his clawed hands, he stomped down the hall towards the cooling tower, fighting against the onrushing torrent of seawater. Last edited by Kooshmeister on Fri Jan 25, 2019 10:27 pm, edited 2 times in total. "He we go!" said Razor. Also, the phrase "Good thinkin' up!" isn't technically wrong, but it sounds awkward to me. Maybe "Good thinkin'!" or a variation like "Good thinkin', buddy!" would work better? P.S. I just now spotted a typo in the chapter posted 21 Aug 2018: "but she had one high hell back on". Sorry it took me this long to notice it!